Cosmetic dental care refers to the products and services to beautify teeth and their related structures. The main goal then of cosmetic dentistry is the improvement of the appearance of the teeth and gums so as to achieve a near-perfect, if not perfect, smile worthy of the red carpet. Decayed teeth are replaced, yellowish teeth are whitened, and cavities are filled, for example. But don’t dismiss cosmetic dentistry as exclusively for vanity either – form is as important as function among dentists, too. Many of the cosmetic dentistry services improve on the function of the teeth such as teeth bonding and dental implants. Form and function come hand in hand in cosmetic dental care products and services. Think of it: Your dentist will work so that your teeth are not just beautiful in terms of uniformity, whiteness and completeness but that these are also functional in terms of the ability to bite and chew. It is understandable, nonetheless, that you may be reluctant about going for your dental appointments for cosmetic procedures. You may have mild to severe anxiety related to your fear of needles used in dentistry, which explains your missed appointments or prolonged periods spent on the dentist’s chair. 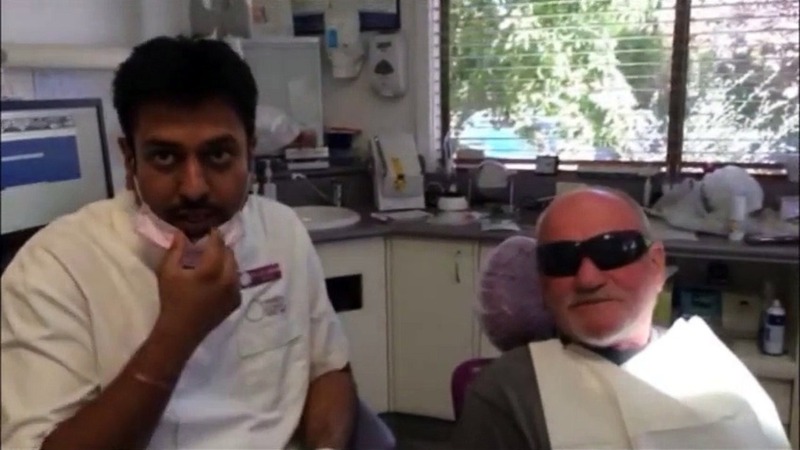 Fortunately, you have the benefit of a pain free dentist offering cosmetic dental care services at Healthy Smiles, Melbourne’s leading dental clinic manned by competent staff from the receptionists to the hygienists, dentists and dental anaesthesiologists. What exactly is a pain free dentist? This is a qualified dentist with training in sedation dentistry including the use of needleless injectors. Sedation dentistry refers to the use of anaesthesia, anti-anxiety medications, and oral sedatives to calm the patient before the procedure, to put the patient to sleep, and to minimize the memories of the procedure, among other goals. Needleless injectors are relatively new devices that deliver the anaesthetics to the treatment area sans needles. The medication is delivered via the skin through a fine mist, known as subcutaneous administration in medical terms. You can skip on your fear of needles and the acute pain that follows, thanks to these devices, although it must be said that a little discomfort akin to a small rubber band lightly being snapped on your skin can be experienced for a second or so. With such little to no pain, you will be more motivated to come in for your cosmetic dental care appointments. You can proceed with your teeth whitening, smiling designing, porcelain crowns and veneers, or dental implants with the knowledge that you will not be facing the dreaded needle. Well, at least, while you are still fully awake.